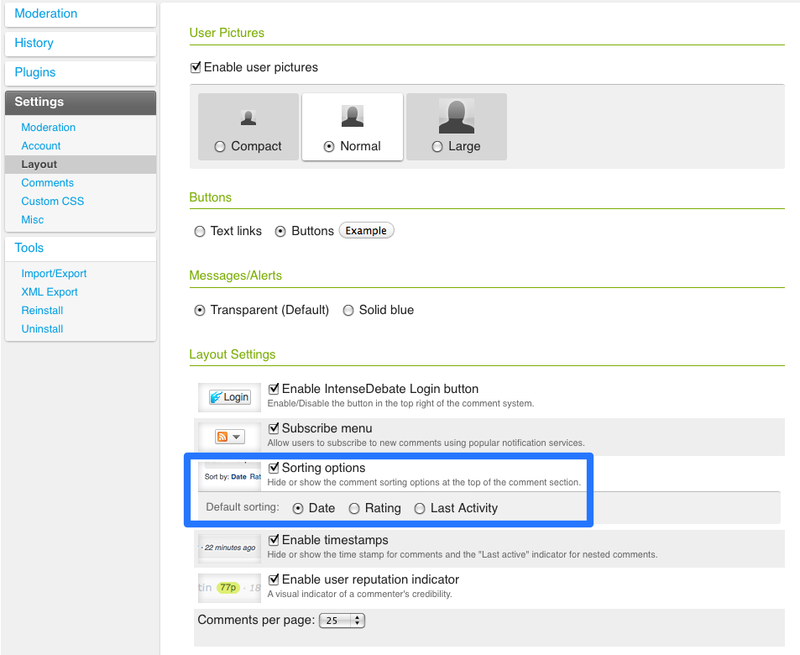 Your sorting options are located in your Layout Settings page. Make sure you take a look around at the rest of your settings and customization options while you’re there. Tags: Comments UI, layout, Sorting — Can't find your answer here? Let us know.